CNN and Newsweek recently launched dubious tirades against what they called "conspiracy theories." As a way to understand such varied messages, I urge readers to evaluate evidence with an open mind -- and regard with special suspicion those commentators who slant their coverage with the loaded smear words "conspiracy theory" without citing specific evidence. 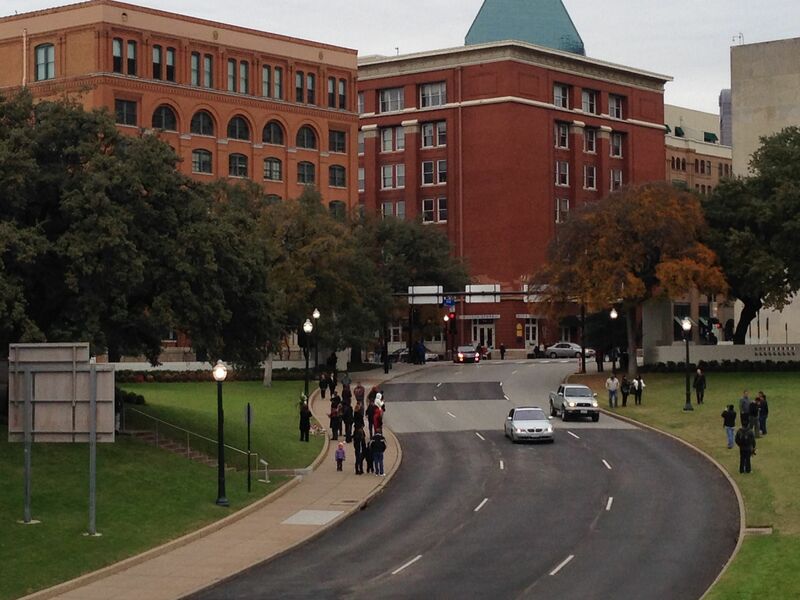 My suggestions follow the spirit of the Justice Integrity Project's JFK Assassination "Readers Guide" last fall. That multi-part series began with a catalog of books, archives, reports and videos. 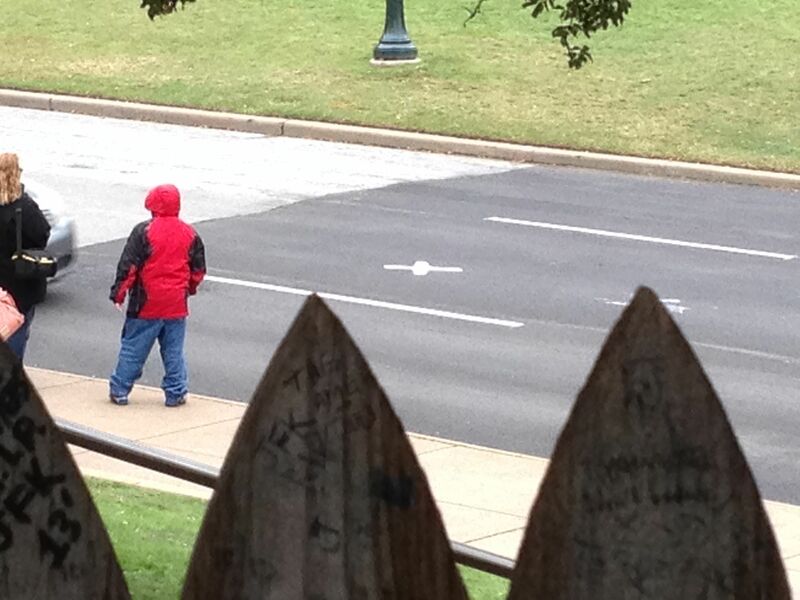 Then it proceeded to assess various theories of President Kennedy's 1963 murder. By now, we know from declassified documents that the CIA undertook a massive secret campaign to smear critics of the Warren Commission with the label "conspiracy theorist." The campaign used members of mainstream media friendly to the CIA, for example, to discredit New Orleans District Attorney Jim Garrison, shown below in a photo by Lynn Pelham. Garrison was prosecuting New Orleans businessman Clay Shaw in what Garrison alleged was a conspiracy to murder Kennedy. Shaw, an OSS liaison to high-ranking British officials during World War II, founded a major regional trade mart in New Orleans shortly after the war. Garrison alleged that Shaw met with rightist opponents of JFK to plan the death. A 50-page CIA memo, known as "CIA Dispatch 1035-960," instructed agents to contact their media contacts and disparage those, like Garrison, criticizing the Warren Commission findings that Lee Harvey Oswald killed JFK and acted alone. The 1967 document is here in the original, and here in reformatted text of its summary. More generally, Operation Mockingbird was the CIA's secret program to plant stories in the nation's most prestigious news outlets. "With this [CIA] memo and the CIA’s influence in the media," author Peter Janney wrote in a guest column on our site last fall, "the concept of 'conspiracy theorist' was engendered and infused into our political lexicon and became what it is today: a term to smear, denounce, ridicule, and defame anyone who dares to speak about any crime committed by the state, military or intelligence services." Janney, whose late father Wistar Janney had been a high-ranking CIA executive, continued: "People who want to pretend that conspiracies don’t exist — when in fact they are among the most common modus operandi of significant historical change throughout the world and in our country — become furious when their naive illusion is challenged." After that background, let's look at more recent uses of the term by the mainstream media to discredit those who suggest government complicity in notorious events. Last week, CNN's Jake Tapper engaged in little more than name-calling in his segment 'Truthers' to protest 9/11 Museum. Tapper brought in a like-minded guest, Slate columnist Emily Bazelon, who relied on the same kind of seat-of-the-pants speculation to denounce protesters. Another example of selective analysis was a Newsweek cover story May 15, The Plots to Destroy America, written by Kurt Eichenwald. Oddly, Newsweek's sensationalistic title itself implied a conspiracy -- that the diverse government critics on the right and left whom the magazine attacked intended to "destroy" the nation with their "plots." Similarly, Eichenwald cited as authority a handful of establishment "experts" who mocked those who criticize government or other establishment institutions. Among the experts the Newsweek author repeatedly quoted was Cass Sunstein, a Harvard Law professor, author of the recent book Conspiracy Theories, and a former high-ranking Obama administration official. During the Obama first term, Sunstein in effect oversaw all federal regulation at the White House's Office of Management and Budget. A White House photo shows Sunstein wiith his wife, U.S. Ambassador to the United Nations Samantha Power, when Vice President Joe Biden swore her into office last summer. Her appointment followed her high-level work in national security at the White House and State Department during Obama's first term. 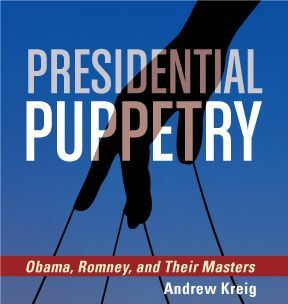 As noted in my book, Presidential Puppetry, she is a leading proponent for regime change and military intervention globally on the grounds of humanitarian principles. Also last summer, Obama appointed Sunstein along with four others to the president's review commission for a response to NSA whistleblower Edward Snowden's revelations of massive illegal spying on the American public. In the paper "Conspiracy Theories," Sunstein advocated that the government secretly hire academics and journalists to thwart the dissemination of what federal authorities might regard as dangerous beliefs held by millions of voters, such as suggestion that officials were complicit in 9/11 or a cover-up. Sunstein's own proposal sounds, in other words, like the kind of plot government critics most fear as a violation of constitutional rights by an Orwellian, Big Brother state. Yet Eichenwald argued that "not a scintilla of evidence" exists for the theories he disparaged. He called them "unsubstantiated nonsense." But he failed, like most with his mind-set, to refute the best arguments of his targets. A striking example last week was a bold, exclusive report by Joe Lauria, the Wall Street Journal's United Nations correspondent. And what if the United Nations proceeds -- and finds that the secretary-general died from foul play? OpEdNews, Rethinking Conspiracy, Shawn Hamilton, Sept. 14, 2014. The terms "conspiracy theorist" and "conspiracy nut" are used frequently to discredit a perceived adversary using emotional, rather than logical, appeals. Too many people smugly chide "conspiracy theories" as if they imagine that such a derisive characterization reflects superior intellect--whether or not they know anything about the issue in question. It's a pitiful display of ego inflation and intellectual dishonesty, yet it appears to be a common approach preferred by those short on information and critical thinking skills. Here are a few examples of past "conspiracy theories" that were commonly derided at the time of their occurrence but were later determined to be credible. NBC News via You Tube, Jim Garrison Video Interview on JFK Murder Charge, July 15, 1967 (27:05 min.). 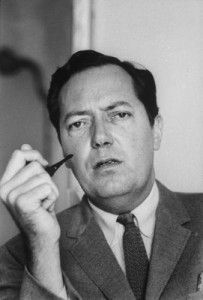 On July 15, 1967, NBC allowed New Orleans District Attorney Jim Garrison to respond to an NBC program that was highly critical of Garrison's pursuit of alleged Kennedy assassination conspirators in New Orleans. Garrison made an eloquent argument in favor of evidence and against mere name-calling. National Archives via YouTube, Conspiracy Theories and Other Dangerous Ideas, Lecture by Cass R. Sunstein, Sept. 8, 2014 (video: 1 hour, six miinutes). Cass Sunstein is a Harvard Law Professor, former top White House staffer in the Obama Administration and author of Conspiracy Theories and Other Dangerous Ideas. Sunstein served Obama as his administrator of the White House Office of Information and Regulatory Affairs. Sunstein's wife is Samantha Power, U.S. ambassador at the United Nations. Sunstein's largely vague but self-serving analysis of history and contemporary social thought revolves around his favorite recent subject -- conspiracy theories. He spoke briefly about some "true conspiracy theories" -- the ones he has had to accept as valid which he danced around largely without specifying which. Be sure to watch his eyes and his body language closely in the online video of the event. 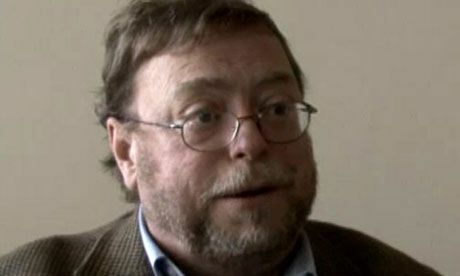 He built his conspiracy theories case on about what he called an "informational cascade" and an "reputational cascade." He then asserted that groups that have conspiracy theories "which are most dangerous and threatening to the United States" flow from these two 'cascades' [hear at: 28:35]. He said "we need to correct the record." This reference alludes to the mostly secret operations around the world of the National Endowment for Democracy. He also alluded to people he termed "conspiracy entrepreneurs." Louis Wolf's comments and Sunstein's answer can be heard at: 42:32-48:01 min. George Ripley's comments and Sunstein's answer at: 57:43-1:02:17. In the wake of the explosive disclosures by National Security Agency whistleblower Edward Snowden, Obama chose Sunstein to be part of a five-person advisory group of intelligence and legal experts, several of whom have long connections to Obama, Two other members are Richard A. Clarke, who served in the Clinton administration and both Bush administrations and has become an expert on digital conflict; Michael J. Morell, a former deputy director of the CIA. 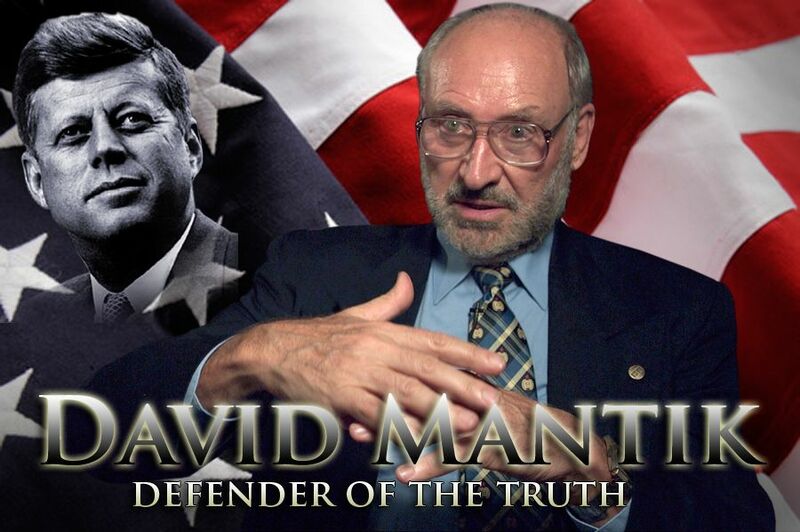 Citizens For Truth In The Kennedy Assassination (CTKA), 'Conspiracy Theories,' Cass R. Sunstein and Adrian Vermeule: A Decidedly Negative Review, by David W. Mantik, M.D., Ph.D., Jan. 27, 2009. David Mantik, shown in a file photo and author of the review below, is certified by the American Board of Radiology, completed a postdoctoral fellowship in physics at Stanford, and served on the tenure-track physics faculty at the University of Michigan. He now treats cancer as a practicing radiation oncologist and is completing a book analyzing head injuries to President Kennedy. "Many millions of people hold conspiracy theories; they believe that powerful people have worked together in order to withhold the truth about some important practice or terrible event." By Cass Sunstein, J.D. and Adrian Vermeule, J.D. To the astonishment of many, Cass R. Sunstein and Adrian Vermeule, both on the faculty of the Harvard Law School, have recently proposed that we substantially subvert the First Amendment (freedom of speech), purportedly to advance national security. Even more worrisome is that Sunstein has joined the Obama administration in a regulatory role: Sunstein is the Administrator of the White House Office of Information and Regulatory Affairs. His appointment was greeted with controversy among progressive legal scholars and environmentalists. Sunstein's confirmation had been blocked for some time because of allegations about his political and academic views. See, for example, his Wikipedia entry. His name has even been bandied about as a candidate for the Supreme Court. Even his role in the White House concerns legal scholars insofar as he favors the US president (and his staff, presumably including Sunstein himself) over judges as interpreters of federal laws. American Behavioral Scientist, Beyond Conspiracy Theory: SCADS: Patterns of High Crime in American Government, Lance deHaven-Smith, February 2010. Lance deHaven-Smith is a professor in the Reubin Askew School of Public Administration and Policy at Florida State University in Tallahassee. Abstract: This article explores the conceptual, methodological, and practical implications of research on 'state crimes against democracy' (SCADs). In contrast to conspiracy theories, which speculate about each suspicious event in isolation, the SCAD construct delineates a general category of criminality and calls for crimes that fit this category to be examined comparatively. Using this approach, an analysis of post-World War II SCADs and suspected SCADs highlights a number of commonalities in SCAD targets, timing, and policy consequences. SCADs often appear where presidential politics and foreign policy intersect. SCADs differ from earlier forms of political corruption in that they frequently involve political, military, and/or economic elites at the very highest levels of the social and political order. The article concludes by suggesting statutory and constitutional reforms to improve SCAD prevention and detection. Antidemocratic conspiracies among high-ranking public officials in the United States and other representative democracies constitute a sensitive and potentially controversial topic for behavioral research. This may explain why, until recently, social scientists have focused, instead, on graft, bribery, embezzlement, and other forms of government corruption where the aim is personal enrichment rather than social control, partisan advantage, or political power. In any event, the topic is sensitive because it raises questions about the ethics of top leaders and suggests that American democracy may be in thrall to behind-the-scenes manipulations. Even if research on the issue were to discredit various conspiracy theories, it could fuel mass cynicism and undermine civility in public discourse simply by making conspiracy theories a legitimate subject for public consideration. McCarthyism quite clearly demonstrated the dangers posed to democracy by unbridled, runaway accusations of conspiratorial suspicions. On the other hand, antidemocratic conspiracies in high office do, in fact, happen. 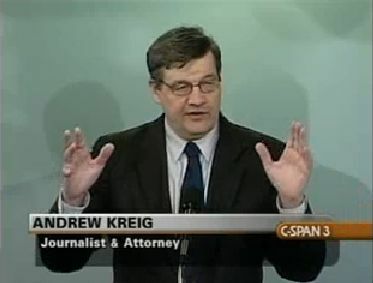 Washington Update, Interview of author Jonathan Kay, Andrew Kreig and Scott Draughon, April 12, 2011. Newspaperman Jonathan Kay discussed his new book, Among the Truthers: A Journey Through America's Growing Conspiracist Underground. Its promo says: "Throughout most of our nation's history, the United States has been bound together by a shared worldview. But the 9/11 terrorist attacks opened a rift in the collective national psyche: Increasingly, Americans are abandoning reality and retreating to Internet-based fantasy worlds conjured into existence out of our own fears and prejudices." 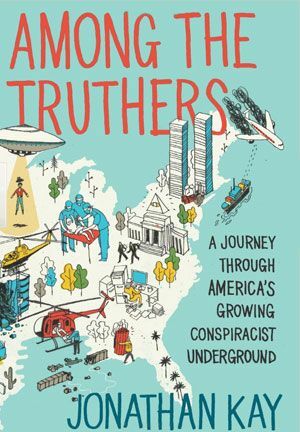 Kay and his book reject the 9/11 Truth movement, which he calls "merely one segment of a vast conspiracist subculture that includes many other groups." Kay, a graduate of Yale Law School, is a managing editor, columnist and blogger at Canada's National Post newspaper. 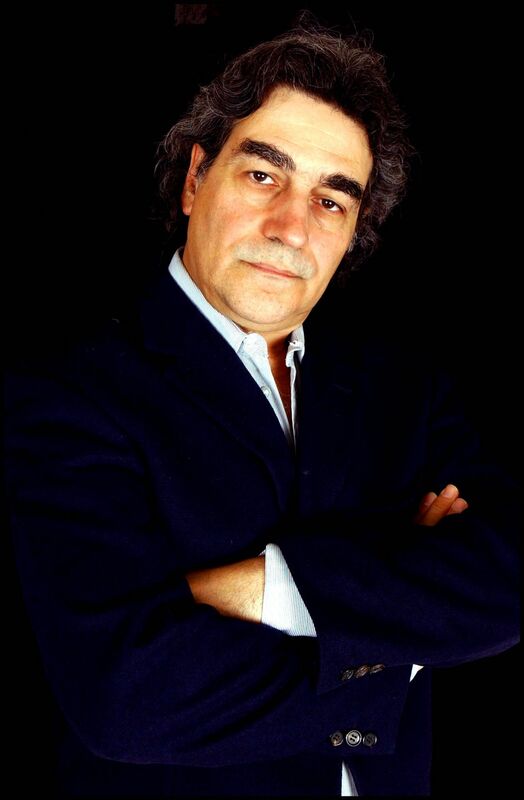 His freelance articles have appeared in such publications as The New Yorker, The New York Times, Harper's, Commentary magazine, Salon, Reader's Digest and Newsweek. 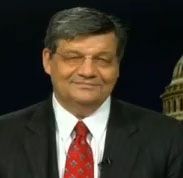 He is a visiting fellow at the Foundation for Defense of Democracies in Washington, D.C.
Wall Street Journal, U.N. Considers Reopening Probe into 1961 Crash that Killed Dag Hammarskjöld, Joe Lauria, May 18, 2014. New Evidence of Possible Foul Play Has Emerged. 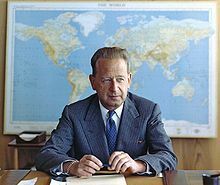 The United Nations is considering reopening its investigation into the mysterious 1961 plane crash that killed then-U.N. chief Dag Hammarskjöld after new evidence of possible foul play emerged. The U.N. General Assembly put the case back on its agenda in March at the recommendation of Secretary-General Ban Ki-moon after more than half a century of speculation that the Swedish diplomat's plane was either sabotaged or shot down. Ban's recommendation came after a report by the independent Hammarskjöld commission, formed in 2012 with the participation of South African jurist Richard Goldstone. The report in September raised the possibility the National Security Agency and other U.S. intelligence agencies have a tape-recorded radio communication by a mercenary pilot who allegedly carried out an aerial attack on the secretary-general's plane. 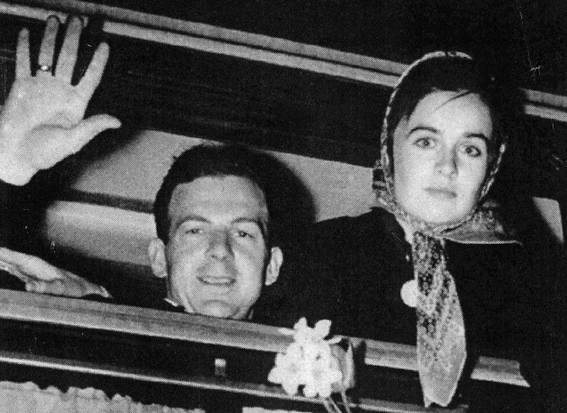 Hammarskjöld was on his way to Northern Rhodesia—now Zambia—when his Swedish DC-6 airliner plunged into a forest nine miles from the airport in the city of Ndola just past midnight on September 18, 1961. Bloomberg, Pssst! Everything's a Conspiracy, Cass R. Sunstein, March 18, 2014. Conspiracy theories surround us. Witness the reactions on the Internet to the tragic and mysterious disappearance of Malaysia Airlines Flight 370. Perhaps North Korea hijacked the plane. Perhaps the Chinese are responsible. Maybe aliens did it. Or, as an influential legislator in Iran contended to the New York Times, perhaps the U.S. "kidnapped" the lost plane in an effort to “sabotage the relationship between Iran and China and South East Asia.” Pick your topic: Ukraine, the National Security Agency, assassinations of national leaders, recent economic crises, the authorship of Shakespeare’s plays -- it's child’s play to assemble a host of apparent clues, and to connect a bunch of dots, to support a relevant conspiracy theory. In recent years, for example, many Americans have become convinced that the U.S. (or Israel) was responsible for the attacks of Sept. 11, that the U.S. government concocted HIV/AIDS, and that federal agencies have conspired to hide the association between vaccines and autism. Why do people accept such theories? Salon, Obama Confidant's Spine-Chilling Proposal, Glenn Greenwald, Jan. 15, 2010. In 2008, while at Harvard Law School, Sunstein co-wrote a truly pernicious paper proposing that the U.S. Government employ teams of covert agents and pseudo-”independent” advocates to “cognitively infiltrate” online groups and websites — as well as other activist groups — which advocate views that Sunstein deems “false conspiracy theories” about the Government. This would be designed to increase citizens’ faith in government officials and undermine the credibility of conspiracists. What is most odious and revealing about Sunstein’s worldview is his condescending, self-loving belief that “false conspiracy theories” are largely the province of fringe, ignorant Internet masses and the Muslim world. That, he claims, is where these conspiracy theories thrive most vibrantly, and he focuses on various 9/11 theories — both domestically and in Muslim countries — as his prime example. It’s certainly true that one can easily find irrational conspiracy theories in those venues, but some of the most destructive “false conspiracy theories” have emanated from the very entity Sunstein wants to endow with covert propaganda power: namely, the U.S. Government itself, along with its elite media defenders. Moreover, “crazy conspiracy theorist” has long been the favorite epithet of those same parties to discredit people trying to expose elite wrongdoing and corruption. Harvard Law and University of Chicago Law School Working Papers, Conspiracy Theories, Cass R. Sunstein & Adrian Vermeule, Jan. 15, 2008. Abstract Excerpt: Many millions of people hold conspiracy theories; they believe that powerful people have worked together in order to withhold the truth about some important practice or some terrible event. Those who subscribe to conspiracy theories may create serious risks, including risks of violence, and the existence of such theories raises significant challenges for policy and law. Conspiracy theorists are not likely to be persuaded by an attempt to dispel their theories; they may even characterize that very attempt as further proof of the conspiracy. Because those who hold conspiracy theories typically suffer from a crippled epistemology, in accordance with which it is rational to hold such theories, the best response consists in cognitive infiltration of extremist groups. Various policy dilemmas, such as the question whether it is better for government to rebut conspiracy theories or to ignore them, are explored in this light. 5. Those who believe that the Illuminati secretly run the world's affairs. Sunstein mentions other "conspiracy theories" but the aforementioned appear to be his Top Five. 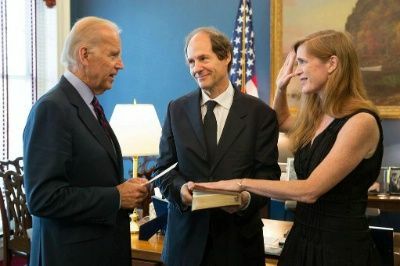 Sunstein's book comes at a time when his wife, Samantha Power, is busy shooting down proven "conspiracy theories" identifying the Ukrainian coup plotters as being behind the sniper attacks on Maidan Square protesters and police. In addition, there is emerging strong evidence that State Department European Affairs official Victoria Nuland's favorite, Prime Minister Arseniy Yatsenyuk, is a longtime member of the Church of Scientology, a cult founded by CIA and Tavistock mind control practitioner L. Ron Hubbard. Even before the overthrow of democratically-elected Ukrainian President Viktor Yanukovych by pro-Western forces, which included mercenaries working for Academi (the former Blackwater/Xe), the Scientologists had penetrated Ukraine's Ministry of Youth and Family Affairs. Scientology's Applied Scholastics Logos program was introduced into Ukrainian middle, trade, secondary, liberal arts, foreign language, and social engineering schools as a favored teaching methodology. Yatsenyuk's Wikipedia entry included his ties to Scientology but the U.S. intelligence-infiltrated "on-line encyclopedia" deleted all references to his ties to the cult. Sunstein's book appears thanks to a sweetheart book contract with Simon & Schuster, a division of leading neo-con Sumner Redstone's CBS Corporation. The real news is the timing of the book's release amid his wife's machinations in the United Nations with neo-cons like UN Undersecretary for Political Affairs Jeffrey Feltman and his State Department-based co-conspirators, Victoria Nuland and U.S. ambassador to Kiev Geoffrey Pyatt. CNN, 'Truthers' to protest 9/11 Museum, Jake Tapper, May 19, 2014. The National September 11 Memorial Museum opens to the public this week in lower Manhattan, and some conspiracy theorists, who are apparently no strangers to Photoshop, plan on attending. The group "Architects & Engineers for 9/11 Truth" plan on standing outside the entrance on opening day to hand out fake museum brochures, designed to look exactly like the real ones, according to The Village Voice, which first reported the story. Inside the brochure, they claim they've compiled "a vast amount of evidence proving that all 3 World Trade Center skyscrapers were deliberately destroyed by explosives on 9/11." They actually don't prove anything, except man's capacity for believing crazy things, and man's insensitivity to the families of the 2,753 people killed in New York, the Pentagon, and in a field in Pennsylvania, killed by Islamic terrorists with al Qaeda as every credible investigation has actually proven. Why do so-called "truthers" have such staying power? Architects and Engineers for 9/11Truth, CNN’s 'Yellow Journalism' Rating Hits All-Time High, Craig McKee, May 22, 2014. The Tapper report is a hysterical compendium of all the empty slogans and anti-conspiracy-theory talking points that make up the mainstream media's continuing attack on the 9/11 Truth Movement. Vanity Fair,The Creeping Danger of Conspiracy Theorists, Kurt Eichenwald, April 4, 2014. The results are in: we’re a nation of idiots. Well, that might overstate the case a bit. But some of the latest polling data does seem to show that at least 30 percent of American citizens—and maybe lots more—are as dumb as a bag of inbred hammers. The poll in question is a delightful one put out this week by Public Policy Polling, a concern ranked by Fordham University as the best out of 28 organizations for the accuracy of its national pre-election estimates in 2012. This time, the folks at P.P.P. decided to have a bit of fun, and rather than polling about which political party is up or down, opted to ask Americans about their beliefs in conspiracy theories. I can just imagine the laughter at the P.P.P. offices when they started putting together the questions. The results, though, were no comedy. More like a horror movie—and one with a plotline that goes beyond any level of belief. New American Man, Don’t Like Or Agree With Something? Call It A Conspiracy Theory! Viper, May 2014. Vanity Fair has just published a vitriolic and insulting piece by Kurt Eichenwald called, “The Creeping Danger Of Conspiracy Theorists.” In it, he calls us all “a nation of idiots,” “dumb as a bag of inbred hammers,” and too dumb to “even start a math test.” He starts with the premise that every item in a recently-published poll was a conspiracy theory, and proceeds to mock Americans (sometimes more than 50% of the respondents) who believed various items on the list were true. Apparently Mr. Eichenwald got the message loud and clear in 1995, when the Clinton White House circulated a memo directing the press to publicly try to discredit any non-mainstream (i.e., non-approved) news story as “conspiracy theory.” What this memo says, in essence, is that the government is afraid of the Internet because it gives voice to people outside the establishment, old-guard media, and it gives everyone access to information from sources other than that same dinosaur media. They fear what they cannot control, so their directive is to discredit anyone not working under the aegis of a respected, establishment news agency. Global Research, Cracking The 'Conspiracy Theories’ Psycholinguistic Code: The Witch Hunt against Independent Research and Analysis, James F. Tracy, May 21, 2014. 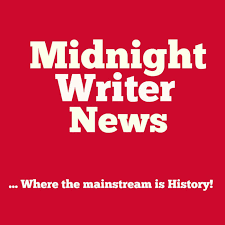 A new crusade appears to be underway to target independent research and analysis available via alternative news media. This March saw the release of “cognitive infiltration” advocate Cass Sunstein’s new book, Conspiracy Theories and Other Dangerous Ideas. In April, the confirmed federal intelligence-gathering arm, Southern Poverty Law Center (SPLC), released a new report, “Agenda 21: The UN, Sustainability, and Right Wing Conspiracy Theory.” This propaganda campaign is using the now familiar “conspiracy theory” label, as outlined in Central Intelligence Agency Document 1035-960, the 1967 memo laying out a strategy for CIA “media assets” to counter criticism of the Warren Commission. At that time, the targets included attorney Mark Lane and New Orleans District Attorney Jim Garrison, who were routinely defamed and lampooned in major US news outlets. Declassified government documents have proven Lane and Garrison’s allegations of CIA-involvement in the assassination largely accurate. Nevertheless, the prospect of being subject to the conspiracy theorist smear remains a potent weapon for intimidating authors, journalists, and scholars from interrogating complex events, policies, and other potentially controversial subject matter. 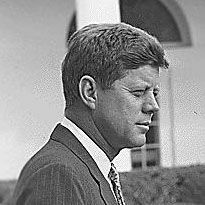 Before It's News, CIA Invention of the Phrase, ‘Conspiracy Theory’ to Block Questions on JFK’s Assassination, is “One of the Most Successful Propaganda Initiatives of All Time,” Staff report, July 17, 2013. The term was invented and put into wide circulation by the CIA to smear and defame people questioning the JFK assassination! Recent studies by psychologists and social scientists in the US and UK suggest that contrary to mainstream media stereotypes, those labeled “conspiracy theorists” appear to be saner than those who accept the official versions of contested events. The most recent study was published on July 8th by psychologists Michael J. Wood and Karen M. Douglas of the University of Kent (UK). Entitled “What about Building 7? A social psychological study of online discussion of 9/11 conspiracy theories,” the study compared “conspiracist” (pro-conspiracy theory) and “conventionalist” (anti-conspiracy) comments at news websites. The authors were surprised to discover that it is now more conventional to (believe) so-called conspiracist comments than conventionalist ones. FireDogLake, Meeting Logs: Obama Quietly Coddling Big Oil on 'Bomb Trains' Regulations, Steve Horn, June 15, 2014. When Richard Revesz, Dean Emeritus of New York University Law School, introduced Howard Shelanski at his only public appearance so far during his tenure as Administrator of the White House Office of Information and Regulatory Affairs (OIRA), Revesz described Shelanski as, “from our perspective, close to the most important official in the federal government.” OIRA has recently reared its head in a big way because it is currently reviewing the newly-proposed oil-by-rail safety regulations rolled out by the Department of Transportation (DOT) and Pipeline and Hazardous Materials Safety Administration (PHMSA). A DeSmogBlog review of OIRA meeting logs confirms that in recent weeks, OIRA has held at least ten meetings with officials from both industries on oil-by-rail regulations. On the flip side, it held no meetings with public interest groups. OIRA was created in 1980 by President Ronald Reagan with the goal of getting rid of “intrusive” regulations. Cost-benefit analysis was put on the map by Harvard Law School professor Cass Sunstein, “regulatory czar” and head of OIRA for President Barack Obama before Shelanski. Global Research, How Government and the Media Equate Political Dissent with 'Conspiracy Theories' and 'Home Grown Terrorism,' Joachim Hagopian, June 15, 2014. 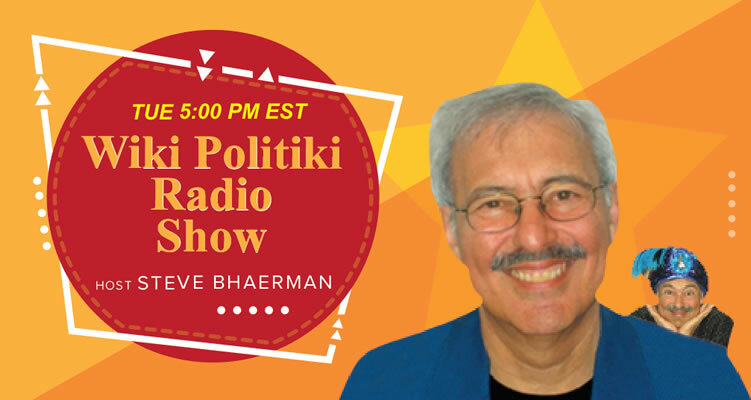 Joachim Hagopian is a West Point graduate and former US Army officer. After the military, Joachim earned a masters degree in Clinical Psychology and worked as a licensed therapist in the mental health field for more than a quarter century. In this age of propaganda and disinformation when mainstream media outlets act as presstitutes for the corporatized federal government, there has been an overt movement in recent years to label dissenters, patriots, government critics and even returning US soldiers from the warfronts as potential homegrown terrorists. For decades, the government and co-opted mainstream media’s onetime favorite tactic heavy-handedly used to customarily dismiss their critics was to simply label those exposing government deception as “conspiracy theorists.” However, with distrust mounting amongst Americans toward both their leaders (86% distrust government) and the media (over 60% little or no trust toward media), this strategy is no longer working because so many conspiracies have been proven to be real. Washington Post, Edward Snowden says he was ‘trained as a spy,’ Sean Sullivan, May 27, 2014. Fugitive former National Security Agency contractor Edward Snowden said in his first U.S. network television interview that he was "trained as a spy" and rejected the notion that he was a low-level operative. "I was trained as a spy in sort of the traditional sense of the word in that I lived and worked undercover overseas -- pretending to work in a job that I'm not -- and even being assigned a name that was not mine," Snowden said in an interview with NBC News, a portion of which aired Tuesday. The full interview will air Wednesday evening. 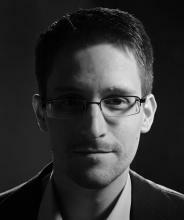 "I've worked for the Central Intelligence Agency undercover overseas, I've worked for the National Security Agency undercover overseas and I've worked for the Defense Intelligence Agency as a lecturer at the Joint Counterintelligence Training Academy, where I developed sources and methods for keeping our information and people secure in the most hostile and dangerous environments around the world," Snowden said. He added, "So when they say I'm a low-level systems administrator, that I don't know what I'm talking about, I'd say it's somewhat misleading." Snowden is shown at right in a portrait via the San Francisco-based Freedom of the Press Foundation, on whose board he serves. Infowars, Official Bilderberg 2014 Membership List Released, Alex Jones and Daniel Estulin, May 27, 2014. Globalist confab reveals this year's list of participants, set to attend in Copenhagen, Denmark from May 29 to June 1, 2014. Official Bilderberg 2014 Membership List Released. Chairman, Castries, Henri de Chairman and CEO, AXA Group, France, with 120 other names. Infowars analysis note: There are always members who will be attending, but who don’t want to be included in the list, due to laws such as 18 U.S. Code § 953, otherwise known as the Logan Act, which makes it a felony offense – punishable under federal law with imprisonment of up to three years – for any member of federal or state government to meet with members of a foreign government without the express authority and authorization of the president or congress. See also, Bilderberg Meetings, Official Conference Site. Washington's Blog, Memorial Day 2014: Just Following Orders, Charles Hugh Smith, May 26, 2014. This is a memorial outside the village where my brother lives in the south of France. It is a typical village, quite small, perhaps a few hundred residents. The memorial commemorates three young French civilians who were taken out and shot by Nazi soldiers, either for “crimes” of resistance or perhaps as a “lesson” to the restive civilian populace. The German soldiers who pulled the triggers were of course “just following orders.” Evil must be resisted, corralled, vanquished. Truth-tellers will lose their prestigious positions, their generous salaries and the acceptance of their peers, and perhaps their lives. In exchange for this sacrifice, the truth-teller receives only the glowing, ephemeral shards of his/her integrity: in the current zeitgeist, that literally has no value. The machine will grind on without them, impervious to the tiny pricks of truth; the machinery of propaganda, artifice, misdirection and misrepresentation is well-oiled and masterful in the reach and scope of its operation. In this context, it is worth watching The Most Dangerous Man in America: Daniel Ellsberg and the Pentagon Papers. 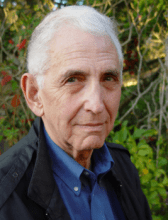 Ellsberg, shown in a file photo, had given excerpts of The Pentagon Papers, the secret and oh-so-dangerous unvarnished truth about America’s involvement in Vietnam, to various members of Congress; all but one did nothing. Only Rep. Pete McCloskey (R) thought the American people deserved the truth. 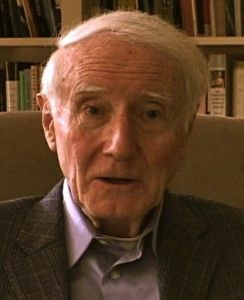 McCloskey is a decorated U.S. Marine Corps veteran of combat during the Korean War, recipient of the Navy Cross, the Silver Star, and two awards of the Purple Heart. Washington Post, Data firms build intimate profiles of consumers, Craig Timberg, May 27, 2014. Officials say the industry produces portraits of Americans so detailed that some would find them unnerving. Calling for more protections, an FTC report provides an unusual window into the system of commercial surveillance. First Look / Intercept, A Response to Michael Kinsley, Glenn Greenwald (Gage Skidmore photo via Flickr), May 23, 2014. Michael Kinsley is the person whom Pamela Paul, editor of the New York Times Book Review, chose to review my book, No Place to Hide, about the NSA reporting we’ve done and the leaks of Edward Snowden: someone who has expressly suggested that journalists should be treated as criminals for publishing information the government does not want published. And, in a totally unpredictable development, Kinsley then used the opportunity to announce his contempt for me, for the NSA reporting I’ve done, and, in passing, for the book he was ostensibly reviewing. Kinsley has actually done the book a great favor by providing a vivid example of so many of its central claims. By far the most remarkable part of the review is that Kinsley -– in the very newspaper that published Daniel Ellsberg’s Pentagon Papers -- expressly argues that journalists should only publish that which the government permits them to, and that failure to obey these instructions should be a crime. Huffington Post, Whistleblower Says Dean Baquet Had A 'Lame Excuse' For Killing NSA Story, Ryan Buxton, May 19, 2014. Days after Glenn Greenwald blasted Dean Baquet for being "subservient to the American national security state," a man who blew the whistle on AT&T told HuffPost Live about his own experience with what he described as Baquet's reluctance to publish damning information about the government. Back in 2006, former AT&T employee Mark Klein revealed information that proved the communications giant was allowing the NSA to monitor Internet traffic "without any regard for the Fourth Amendment." Klein initially brought the story to the Los Angeles Times, but it never made it to print under Baquet, who recently replaced the fired Jill Abramson as executive editor of the New York Times. Klein told HuffPost Live's Alyona Minkovski that he gave 120 pages of AT&T documents to an LA Times reporter who "was promising a big front-page expose" on the story. But the reporter eventually told Klein there was a "hangup," and the story was abandoned. Washington Post, CIA: No more vaccination campaigns in spy operations, Lena H. Sun, May 19, 2014. Three years after the CIA used an immunization survey as a cover in its hunt for Osama bin Laden, the White House has promised that the agency will never again use a vaccination campaign in its operations, an official said Monday. Responding to a letter from the deans of 12 U.S. public health schools, Lisa Monaco, the assistant to the president for homeland security and counterterrorism, informed them last week that the CIA will no longer conduct such campaigns. The deans wrote to President Obama in January 2013 to protest the precedent set when the CIA used Shakil Afridi, a Pakistani surgeon, to seek information about bin Laden under the guise of conducting a hepatitis immunization survey in the northwest city where the al-Qaeda leader was later killed in a raid. International aid organizations were forced to move some of their staff members out of Pakistan, and some health workers were killed in a backlash against a polio vaccination effort. Attacks have continued sporadically. Last year, 83 new polio cases were reported in Pakistan, more than in Afghanistan or Nigeria, the other countries where it is endemic. 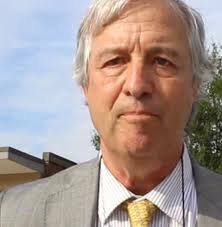 WGBH News, Not Just Tsarnaev: Right to Counsel Dwindles, Harvey Silverglate (in photo) and Juliana DeVries, May 22, 2014. On May 7th, defense attorneys for Dzhokhar Tsarnaev filed a motion to suppress statements that FBI agents claim Tsarnaev made during an interrogation in the Intensive Care Unit of Beth Israel hospital. The pre-trial wrangling over whether this interview, which took place before Tsarnaev was read his Miranda rights, may be admitted into evidence raises important questions about the right to counsel and the privilege against self-incrimination. The Supreme Court has in recent years allowed for the serious erosion of these key Constitutional protections. Washington Post, Inside the battle for the soul of Reddit, Caitlin Dewey, May 16, 2014. Think of Reddit, the Internet’s self-proclaimed front page, as the plankton of the digital information ecosystem. The vast, labyrinthine network of forums, founded in 2005, is the site where all other sites go to feed: on memes, on news stories, on ideas or whiffs of them. But contrary the view from 10,000 feet, Reddit does not surface stories on the force of the crowd alone. Behind the Internet’s great trend-machine sits a complex, faceless hierarchy of volunteer moderators, called “mods.” Casual users never see them, and even avid Redditors — as the site’s denizens call themselves — have limited power to challenge them. That has provoked something of an existential struggle in the Internet’s largest news forum, though few have articulated it that way. Is “the front page of the Internet” a democracy that is crowdsourced by virtual millions? Or is it a series of allied feudal kingdoms, steeped in abstract politics? Two of the site’s most popular forums, r/news and r/worldnews, repeatedly deleted a major scoop about British intelligence by Glenn Greenwald. Less than three weeks later, a user in another major forum, r/technology, reported that mods systematically blocked terms like “NSA” and “net neutrality.” The incident exposed a more troubling and more systemic drawback of the site: When you hand such profound power to anonymous moderators, the Internet is essentially at their whim.